Epiphany 2 – Commemoration of The Rev. 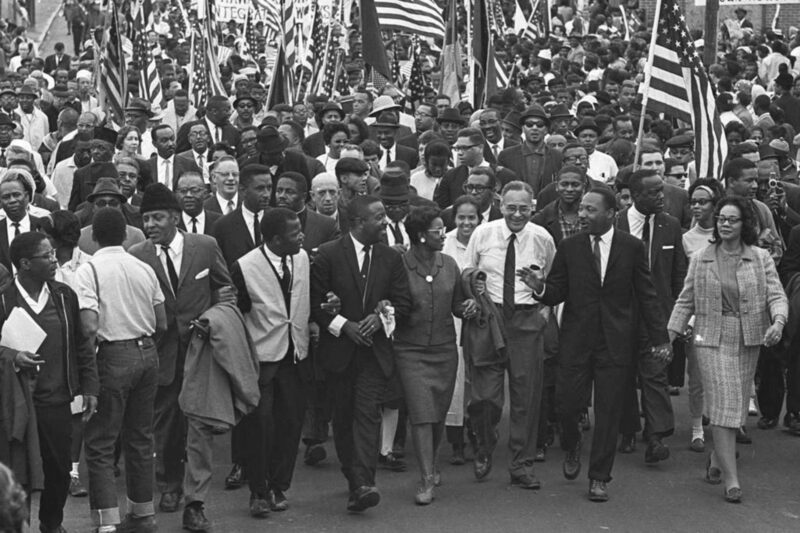 Dr. Martin Luther King Jr.
Home / Pastor's Blog / Epiphany 2 – Commemoration of The Rev. Dr. Martin Luther King Jr.
9 years before he became a Nobel Laureate. 8 years before he dreamed the day of a beloved community. And 5 years before he became the assistant pastor under his father at Ebeneezer Baptist Church in Atlanta, Georgia. The Rev. Dr. Martin Luther King Jr. was the not so well known new pastor at Dexter Avenue Baptist Church in Montgomery, Alabama. Dr. King earned his Phd in Systematic Theology from Boston University. And Rosa Parks, a 42 year old seamstress, was arrested in Montgomery, for refusing to give up her seat to a white, male passenger. Just weeks before Dr. King had turn down his colleagues plea for him to become the president of their local chapter of the NAACP. He had said he wanted to focus on his congregation. He was a new father. He wanted to be home. On Monday, December 5, 1955, Dr. King, along with colleagues E.D. Nixon, Ralph Abernathy, and others, organized the first bus boycott in Montgomery, protesting the Jim Crow laws in general, and the arrest of Rosa Parks, specifically. The boycott was a success and the organizers met that afternoon to form the Montgomery Improvement Association, local businessman Rufus Lewis nominated Reverend M. L. King, it’s president. Dr. King did not feel qualified. He was younger than his colleagues. He was still relatively new to Montgomery. He had a new baby at home. King went home to prepare a speech for that evening’s first meeting of the MIA. He was nervous as he told Coretta, who told him, whatever he decided, he had her backing. He took time to pray. And then, in 20 minutes, he wrote the most important speech of his life. What could he say that would incite people to positive action, into action without hate? Samuel was just a boy when his mother Hannah placed him in the care of Eli, the priest. Hannah was one of two wives of Elkanah son of Jeroham, a Zuphite from the hill country of Ephraim. Hannah longed for a child, she saw, year after year, how Elkanah would go to the Lord of hosts at Shiloh and would present sacrifices on behalf of his family; he would give Hannah a double portion of the sacrifice out of pity for her. Hannah did not want pity; she wanted a child. In due time Hannah conceived, and bore a son, and she named him Samuel. And Hannah remembered her promise, and according to scripture, once Samuel was weaned, she brought him, and a measure of flour, and a skin of wine, and a three-year old bull, and she placed her firstborn son into the care of Eli. Eli had told Samuel to rest, but it was still evening, as the light of the oil lamp had not yet run out for the day. And Samuel heard a call. A difference between knowing we are called and knowing to what we are called. And this is Samuel’s issue; and this is the church’s issue. And said, here I am, your servant. Eli woke confused. What? Why are you disturbing me? I was sleeping! I did not call you – go back to sleep. My friends – we too are called. Each of us individually, but also all of us, corporately. And so I could ask you as an individual – what are you being called to? But I want to ask this question of the church – the whole church – St. Paul’s and Holy Trinity – and brothers and sisters throughout this city and across this land. When we heard the call and it was a call to parochialism. We heard the call and we interpreted it to be the Lord, and our response was to cloister, each of us in our own homes, our Lutheran homes, and Episcopal homes, and Presbyterian homes, and our Baptist homes. And we heard that as the call. That we each were so distinct we needed our own houses, and we needed one of each on every street corner – and so still we will see intersections when 2-4 churches sit on opposite corners, each family in their own house. And there was a time in church history when we believed this was our call – build more buildings. But Eli told Samuel to go back to sleep. “No I didn’t call you, can’t you see I am sleeping,” Go back to bed. We enjoyed the “Christian Century” when we found ourselves at the center of culture. Church was the place to be on a Sunday morning (as long as you are on your right corner). And politicians turned to the church to confirm and affirm their agenda of Americana. And Eli said to Samuel – better that you just go back to sleep. And if you hear the voice again, it may be the voice of the Lord. What is the Lord calling us to? It is not a call to parochialism, that time is over. It is not a call to prominence or position or privilege, that’s not who our God is in Christ. It is a call to love our neighbor. It is a call lift our voices and amplify the voices of those who cry out. It is a call for Peace. And it is a call for Justice. As Rosa Parks that day was called on to sit down, when she was demanded to stand up. We must speak out, to those who would prefer our silence. There is a new call on the church today, but it’s the call from long ago. To speak out for refugees and all the beautiful people and and beautiful lands from which they come. We are called – to be the church – the body of Christ in the world. We are called church! And God is doing something with St. Paul and Holy Trinity, and Westminster, and Temple Beth Zion, and Shiloh, and the Unitarian Universalist communities. God is calling us together with a purpose. And you may ask, how can we do such a thing? First, like Dr. King that night back in December in 1955, we pray. And then, we trust that we are equipped. God uses us for who we are with the talents that God has given to us. That’s the call of the disciples – Jesus sees them and knows them, and puts them to work in the kingdom with the gifts that God has already given to them. In a sermon entitle the Three Dimensions of the Complete Life, Dr. King talked about how we are all called; all created for purpose, and he writes “after we’ve discovered what God calls us to do, after we’ve discovered our life’s work we should set out to do that work so well that the living, the dead, or the unborn couldn’t do it any better. “When I was in Montgomery, I went to a shoe shop quite often, known as the Gordon Shoe Shop. And there was a fellow in there that used to shine my shoes, and it was just an experience to witness this fellow shining my shoes. And I said to myself, “This fellow has a PhD. In shoe shining. Church, the Lord is calling. The Lord has equipped us and sends us. Let’s be the Church. For the sake of the world.